As Head PT at MYPTstudio I believe education is as important as your training to get results. 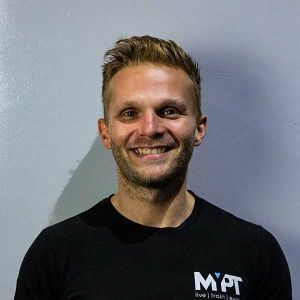 You can find me taking both MYPT Lean & MYPT Muscle group sessions as well as hosting Monthly Educational Workshops. My passion lies in nutrition and resistance training and my true belief is that having an enjoyable lifestyle and getting outstanding results don’t have to be mutually exclusive. My own accomplishments in fitness include completing the first UK based Tough Mudder and more recently stepping on stage to compete in my first body building show with Pure Elite and most recently prepping for a Photo Shoot with SNHFoto.